Wegen “Twins” are basically a mini-Gypsyjazzpick, but what a performer. 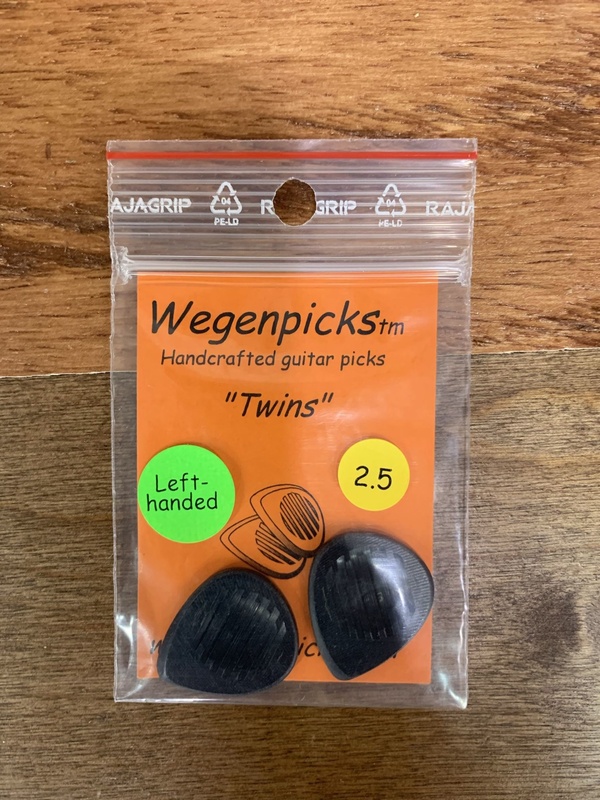 Both sides of the Twins picks have grooves for grip, with a thumb impression on one side. Each pick is 27.5mm long, 23.3mm wide and 2.5mm thick. For right-handed players. Two picks included per pack.